Culet size impactsthe cut of a diamond to a certain extent. It is also an important aspect when GIA grades diamonds. None or a small culet size that has no negative impact on a diamond’s appearance is the best choice. All that matters is the beauty/appearance of a diamond, and if a culet is large or very large, there maybe light passing through it that will reduce the brilliance of a diamond hence affecting the beauty and market value of that particular diamond. 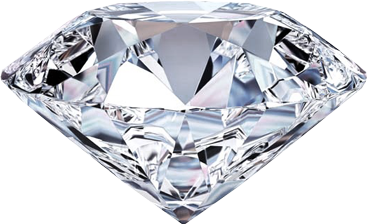 If there is a large size culet in a diamond, light may pass through it straight through the crown and the facet without producing any sparkle creating a dead space inside the diamond. This dead area may reduce the significance of the diamond. Therefore, ideally a diamond should not have a culet. These days diamond cutters intentionally create a small culet while cutting a diamond in order to minimizes the chances of a diamond getting chipped. Often the culet won’t be visible to a naked eye as long as it’s not really gross which is very rare. During the processing of a diamond, it is polished very precisely and neatly just as a facet. A round brilliant cut typically has 57 facets and the 58th facet is often considered as the culet of that diamond. A culet maybe examined with a x10 loupe, but it would be hard for an untrained eye to deduct or inspect a small culet. In conclusion, it is recommended that avoiding a diamond with a very large culet size would be a smart choice and sticking to ones with none to medium culets would be your best bet.